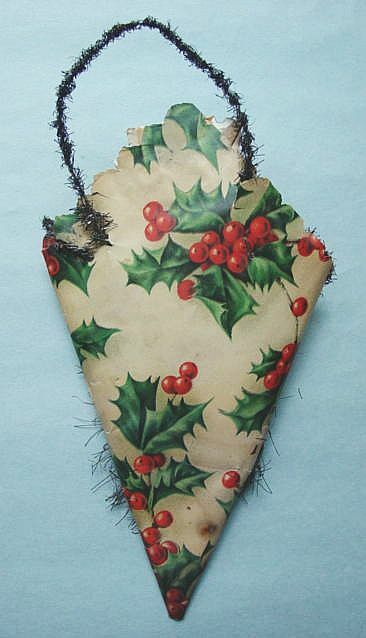 A wonderful early cornucopia candy container made of holly and berries printed paper. 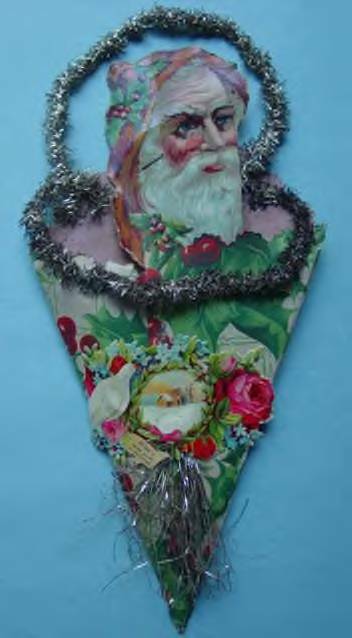 With a great Santa head scrap, a lovely dove and floral scrap with a tinsel spray and tinsel handle and decoration. 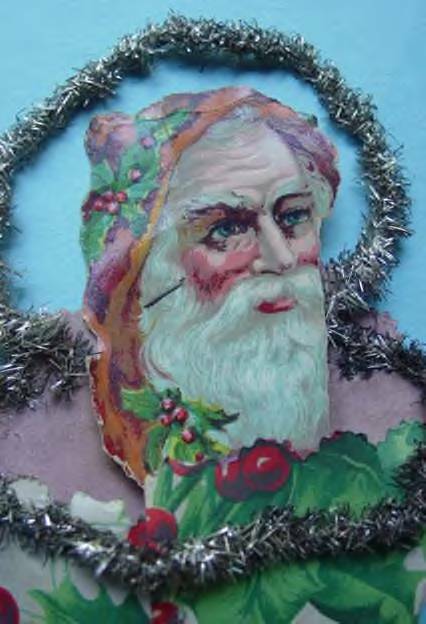 There is a taped repair on the back of Santa's head which does not detract, otherwise in excellent condition. Additional photos are attached by the link at the right. 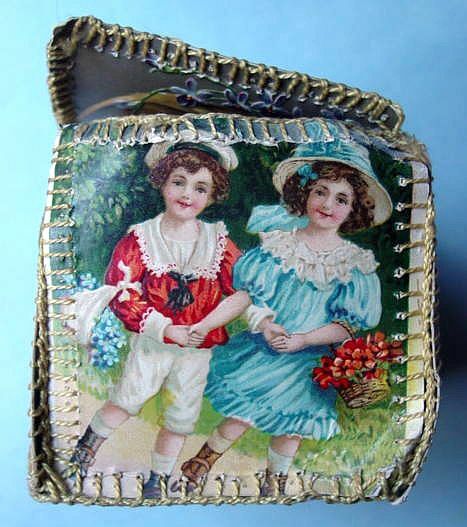 An early and rare Victorian paper cone candy container with a scrap of a lovely lady. 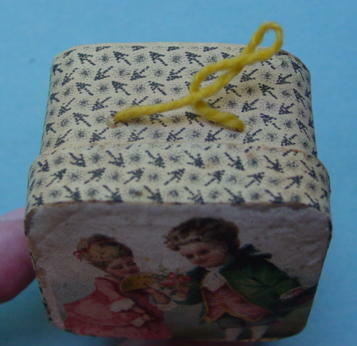 It is also decorated with hearts and spade card motifs and embossed gold dresden paper squares. 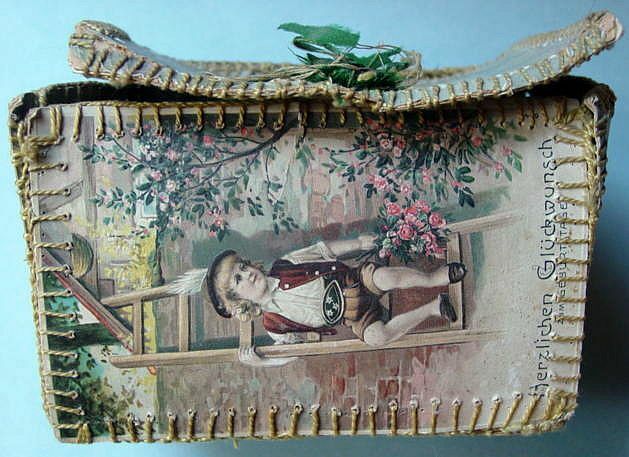 It is trimmed with gold embossed dresden paper and still retains its dresden paper hanger. 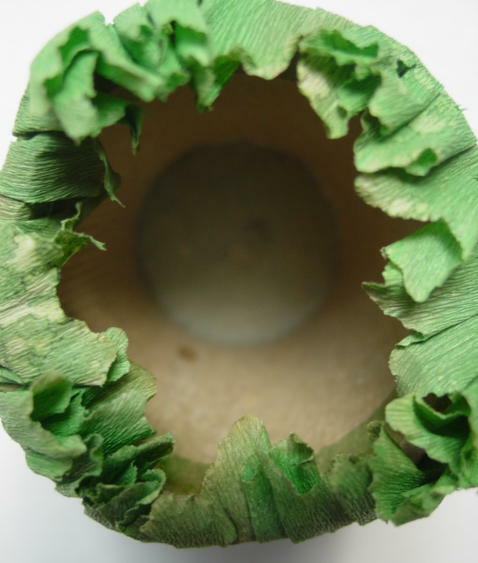 There are some dings and dents to the cone, but overall it is in in very good condition, considering its age. Additional photos are attached by the link at the right. 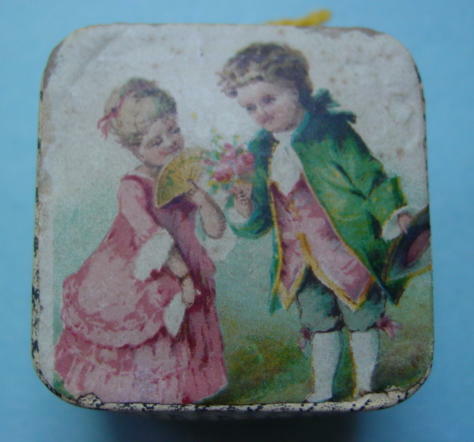 A great, early cardboard candy container or trinket box with a lovely lithographed print of a Victorian couple on the top. 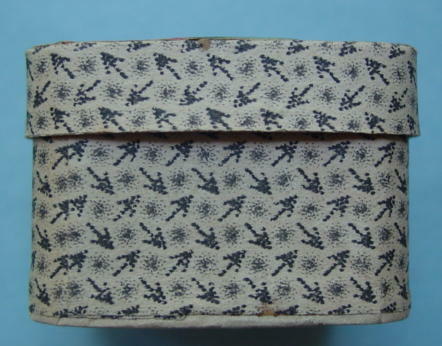 There is also a tiny geometric print on the sides of the box and the side flaps of the top. 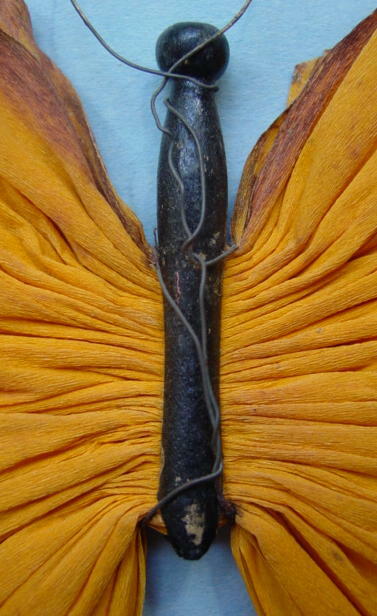 It retains its original yellow string for hanging on the tree. 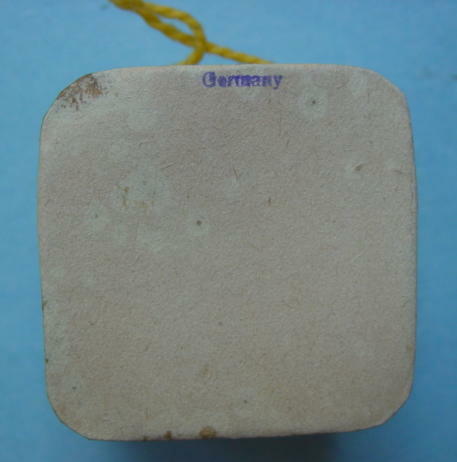 It is stamped , "Germany" on the bottom. In excellent condition. Additional photos are attached by the link at the right. 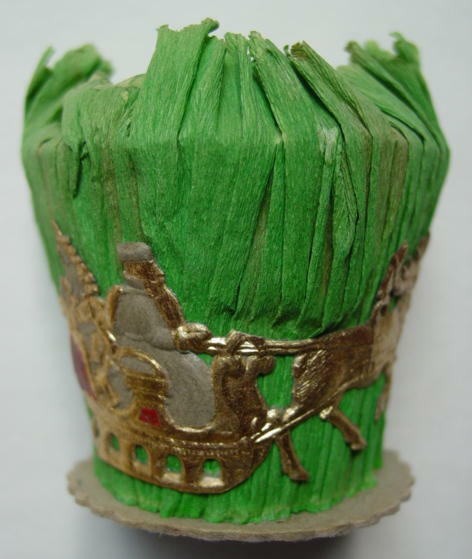 An unusual, early nut cup or party favor made from cardboard and covered with gathered and stitched green crepe paper. 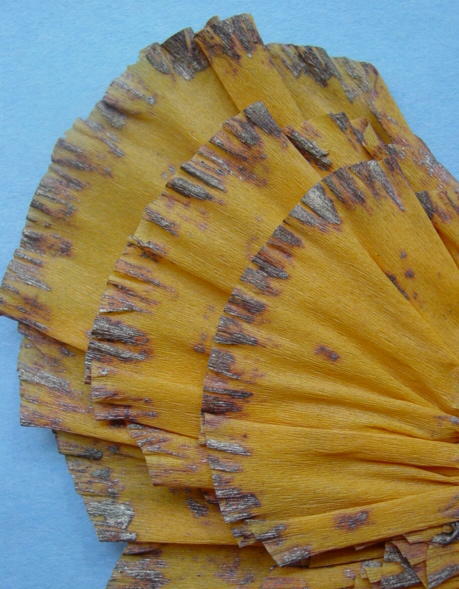 The paper is a bit faded and worn from age and use, but still in good shape. 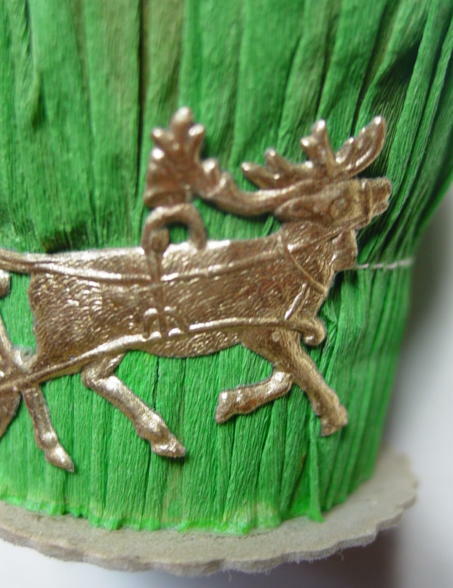 It is also adorned with a rare, flat gold dresden of Santa with a reindeer carrying toys in his sleigh. 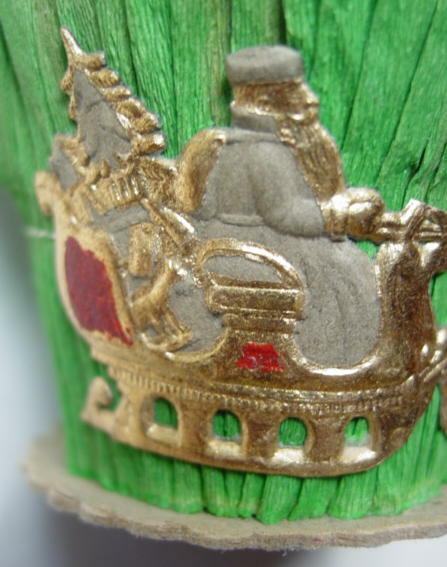 The Santa is also painted with gray and red details. 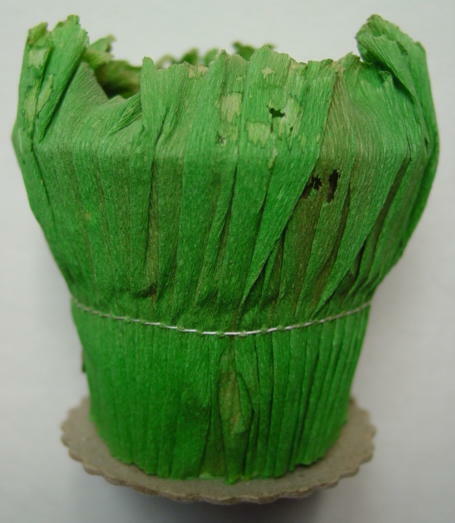 The base of the cup is a scalloped edge piece of cardboard. There is no evidence that there was ever a handle to this piece, so it was probably considered a table decoration. A different and hard to find item in very, very good condition. Additional photos are attached by the link at the right. 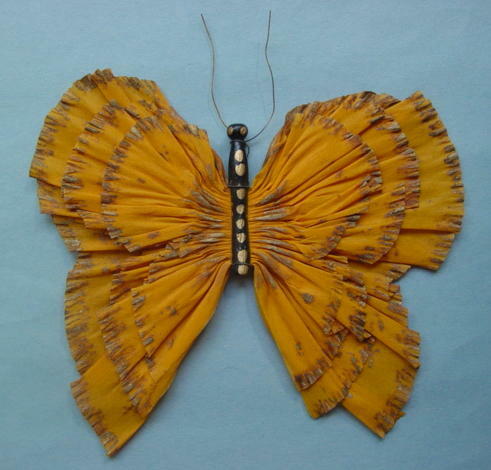 A beautiful, large early three layered yellow crepe paper butterfly. 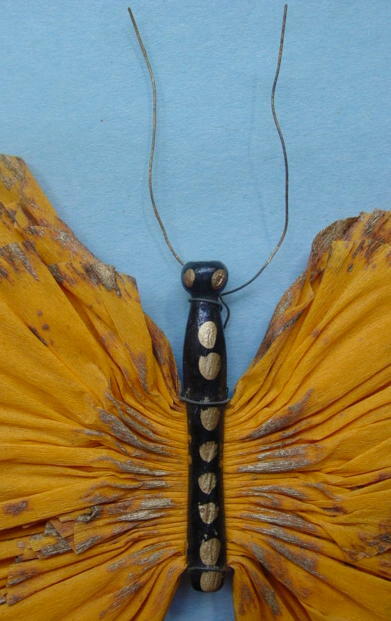 There are gold painted details on the edges of the wings and the black painted wooden clothespin body. 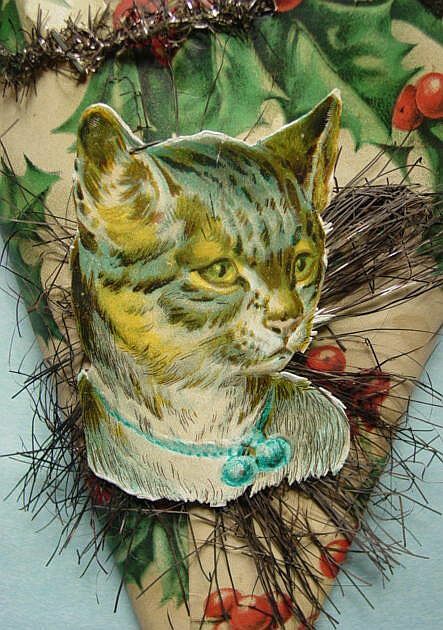 Wire creates the antennae and also allows for a hanger in the back. 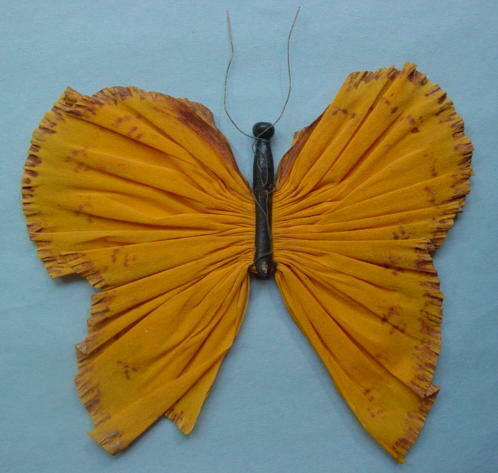 Similar examples of these types of butterflies are in the book, "Christmas Ornaments, a festive study" by Margret Schiffer. In excellent condition. A great piece! Additional photos are attached by the link at the right. 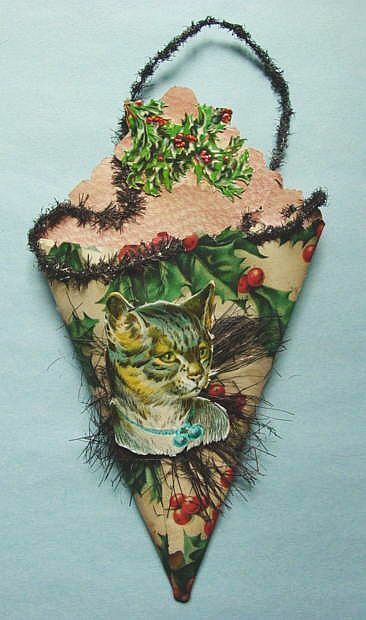 A wonderful, early holly paper cornucopia candy container with a sweet embossed scrap of a cat. 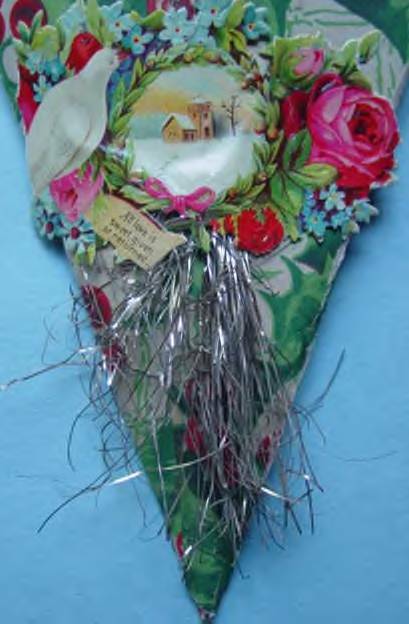 There is a tinsel spray and tinsel decoration that also forms the handle. 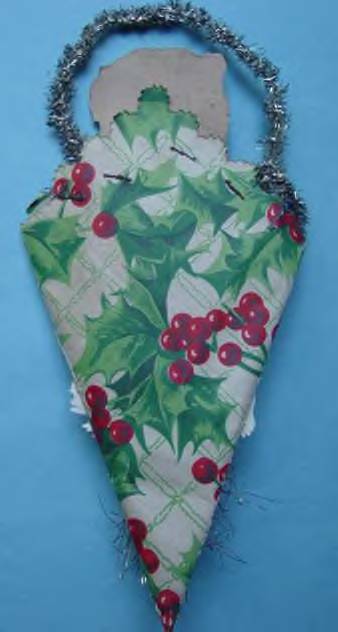 There is a small stable tear on the left side of the cone, but it is not noticeable from the outside because the tinsel spray covers it. The point has been squared off from age and use. 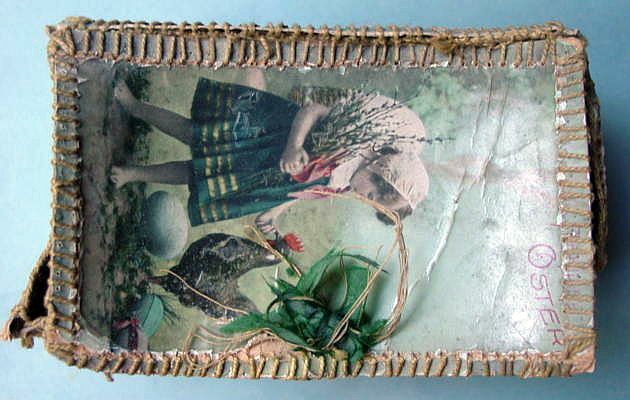 There is also an embossed scrap of holly leaves and berries. Overall, in great shape. Additional photos are attached by the link at the right. 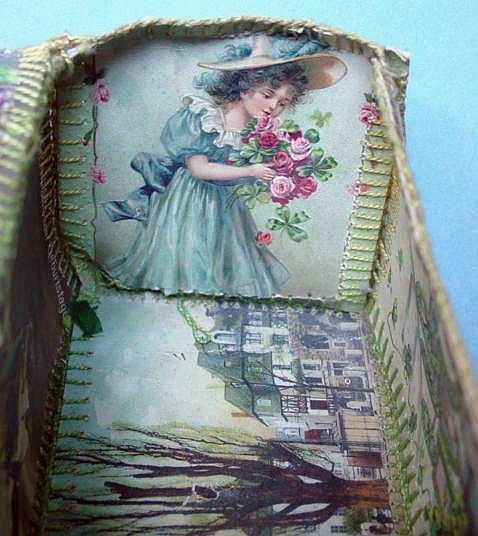 A rare Victorian handsewn postcard trinket box. 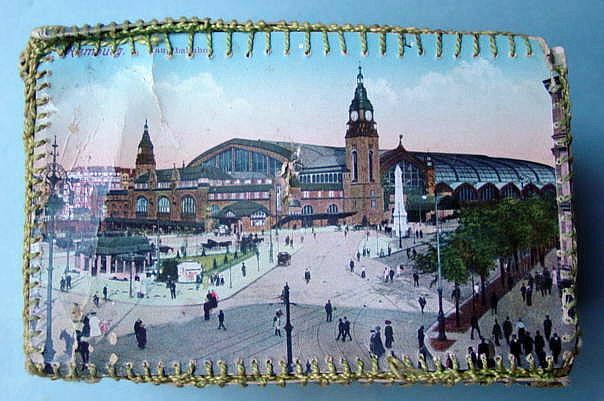 Made of real postcards from Germany. 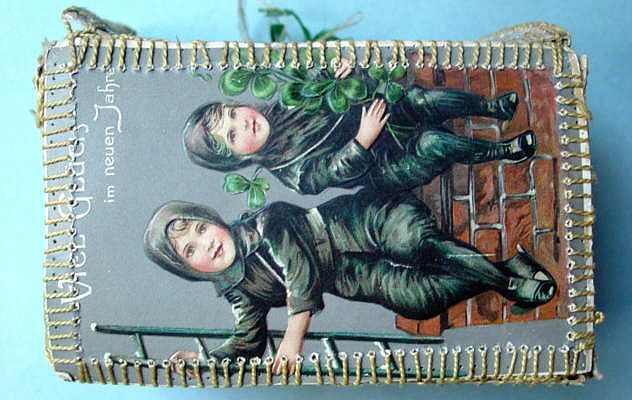 Greetings are written in German. 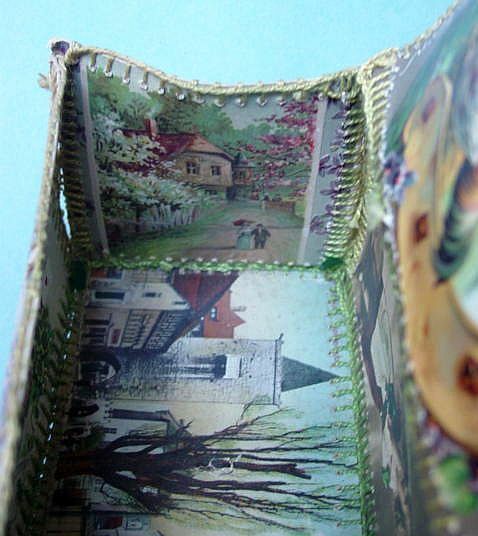 The postcards are stitched together to form a box. 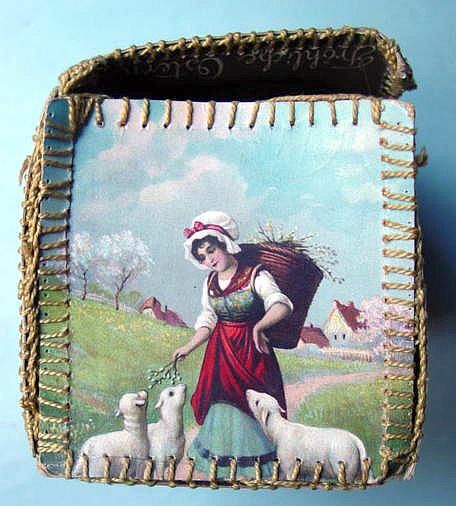 Inside and out depicts typical Germanic pastoral scenes. 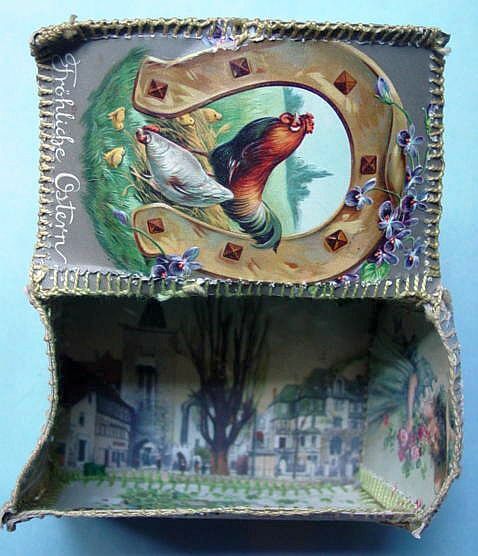 It retains its original green ribbon on the lid. 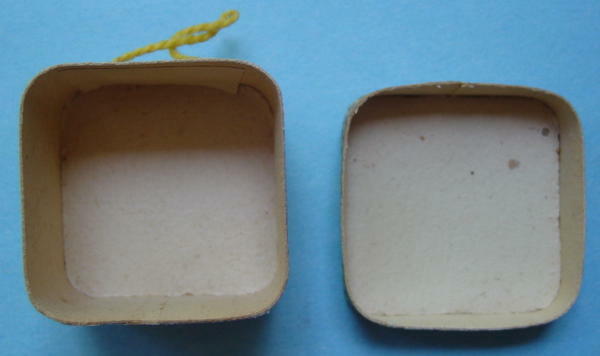 There is some warping of the lid due to age and handling, but overall in excellent condition. Additional photos are attached by the link at the right.